According to data provided by INCIBE (Spanish Cibersecurity National Institute ), Spain was the third most attacked country in the world in 2017 with 120,000 incidents, only behind the United States and the United Kingdom; and everything seems to indicate that 2018 has exceeded this number, since By the end of August, 88,677 incidents had been managed, of which 83,165 (94%) corresponded to citizens and businesses and 5,512 (the remaining 6%) to the academic network and critical operators. This increase in threats together with the pressure exerted by General Data Protection Regulation (GDPR) compliance , in force since May 25, 2018, has forced companies to become aware of the need to manage cybersecurity and define responsibilities regarding it. The title may seem pretentious, but several of the presentations during the 3rd Annual Third Party & Supply Chain Cyber Security Summit, which was held on 7 and 8 February in Barcelona, have shown the motivation that took Antonio Ramos a few years ago to create the referential of controls and methodology of qualification that gave origin to LEET Security. Still young, this third edition has had more than 75 participants from 15 countries. With the presence of international companies such as Bank of America, BBC, IKEA, Freddie Mac, KPN, Galp or Swisscom, as well as Caixabank, Santander Group, Banco Sabadell or Amadeus; and LEET Security, which has participated as a sponsor, along with Bitsight, NormShield, One Trust and SIMS Recycling Solutions. Cyberattacks such as NotPetya or WannaCry and individual incidents such as the Equifax data breach in september 2017, or the cyberattack that caused the US pharmaceutical company Merck damages of 260 million dollars, have caused companies of any size to start to consider the option of contracting a cyber-risk insurance as a measure to mitigate the economic losses caused by a information cyber incident. In Spain, as everybody knows, most of the business fabric is made up of SMEs. According to data provided by the Ministry of Employment and Social Security in June 2018 in Spain we have 1,312,813 companies. Of which, 87% turn out to be micro-SMEs (1 to 9 employees), 11% are small companies (10 to 49), 1.9% are medium-sized (50 to 249 employees). And only 4,578 are large companies with more than 250 employees. As we discussed in the previous post, the European Banking Authority (EBA) in its report Guidelines on ICT Risk Assessment under the Supervisory Review and Evaluation process, includes a section describing how to inspect technology risk management within the framework of global operational risk management. The European Banking Authority (EBA) published in May 2017 the guidelines to be followed by the competent authorities (Bank of Spain in the national territory) in the exercise of the supervision of the ICT strategy and government, as well as the evaluation of technological risk exposure. Will I be the target of spear phising? According to the study "Organizations and Cybersecurity" recently published by LEET Security, 87% of spanish managers are concerned about the cybersecurity of their companies. And they don´t lack reason since almost 60% of these companies claim to know they have suffered a cyberattack. Until a few years ago, many of these managers were relaxed because they didn't consider their business to be of special interest to cybercriminals. But the exponential cybercrime growth in recent years and its widespread dissemination in the media, together with the growing dependence on business processes regarding technology (digital transformation) have made companies more concerned about the economic losses derived from the services unavailability , and almost 70% of the General Direction is involved in this matter. In response to the need of service providers to accredit the security level to their customers, in 2011 the American Institute of Certified Public Accountants (AICPA) created the Service Organization Controls (SOC) framework, which replaced the old SAS 70. Its objective is to help IT service providers to build trust in their processes and in the security assessment controls that they apply. SOC encompasses three report types, which we referred to in a previous post. The reports are written by independent and external auditors, and their objective is the certification of the quality and effectiveness of the selected and applied controls. Looking backwards on some of the most notable cyberattacks that have taken place in recent history, we are led to reflect that even today many companies, specially some very relevant ones, still don’t apply efficiently the minimum security measures, let's say " the basics ", which should be included in any cybersecurity program. 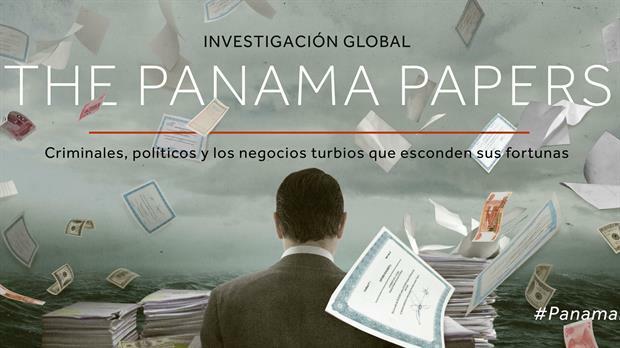 The Panamanian law firm Mossack Fonseca suffered the exfiltration of 11.5 million internal documents, bringing to light the involvement of a large list of international personalities in opaque company registration, and in tax evasion. GDPR (3): And now, how to supervise that our suppliers also comply with the Regulation? Among the actors involved in the new RGPD regulation, the controller and the processor (usually third party suppliers) stand out for having a more active role and for their direct action on personal data. It is interesting to observe the difference between both figures because, although they have different tasks within the data processing, they are often confused. While the controller is the ultimate responsible for guaranteeing the security and privacy of personal data, the second actor is the one who directly operates the data processing. The processor always acts on behalf of the controller, and must be chosen in such a way that it offers sufficient guarantees to apply appropriate technical and organizational measures. GDPR (2): But, what security measures are appropriate? In this second post in our blog about the contribution of LEET Security to the efficient compliance with RGPD, we discuss an aspect that will be of interest to those who must provide security by design (how?) to the data processed. The Regulation establishes that “the controller and the processor shall implement appropriate technical and organisational measures to ensure a level of security appropriate to the risk, including inter alia as appropriate” (Art 32.1). This is a consequence of the accountability principle, which exudes all the regulation. But, unlike the well-known LOPD, it leaves in your hands, and without any reference model, the determination of which are those appropriate measures. Following the European Banking Supervisors guidelines on outsourcing (CEBS directives), and in accordance with Article 16 of Regulation (EU) No 1093/2010, the European Banking Authority (EBA) published on December on 20th 2017 the final report with the recommendations on the outsourcing cloud services. The recommendations will apply from 1 July 2018. Within the package, security measures constitute a key aspect for risk management. These include the need to identify the appropriate level of protection to ensure confidentiality, integrity, availability, and traceability of data, the right to audit and the development of contingency plans. Another relevant aspect addressed by EBA recommendations is the risk associated with chain outsourcing. In this line, the service provider should only subcontract with a third party that meets all the requirements. Publication on Januray 30th of Commission Implementing Regulation 2018/151 defines the technical and organizational controls that digital services providers (aka. online marketplaces, online search engines and cloud computing services) have to adopt following article 16 of NIS Directive (2016/1148). It is a really simple document that only have 5 articles, of which, discounting the objective and the entry into force, we are only left 2 articles settled to evaluate incident impact for notification effects and 1 [yes, one, you are right] for the security measures that digital service providers have to implement (article 2. Security elements); which is the focus of this post. We continue today with the section named #ratingenthusiasts in which we include the opinion of relevant people we have talked to in relation with #securityrating. In today post, we have Eduardo di Monte. 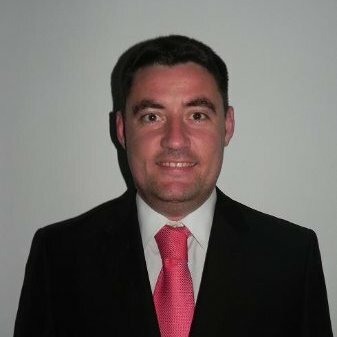 Eduardo is Cybersecurity and Business Continuity Chief of Agbar Group (Suez Spain), for Spain and Chile. Eduardo is Telecommunications Engineer and MBA by EuroMBA Consortium, he is specialist on industrial cybersecurity (IoT) and business continuity. With more than 13 years of experiencie, he has spent the last 8 years working hard on cybersecurity aspects of automatization and industrial control systems, specially on processes soported by critical infrastructures. 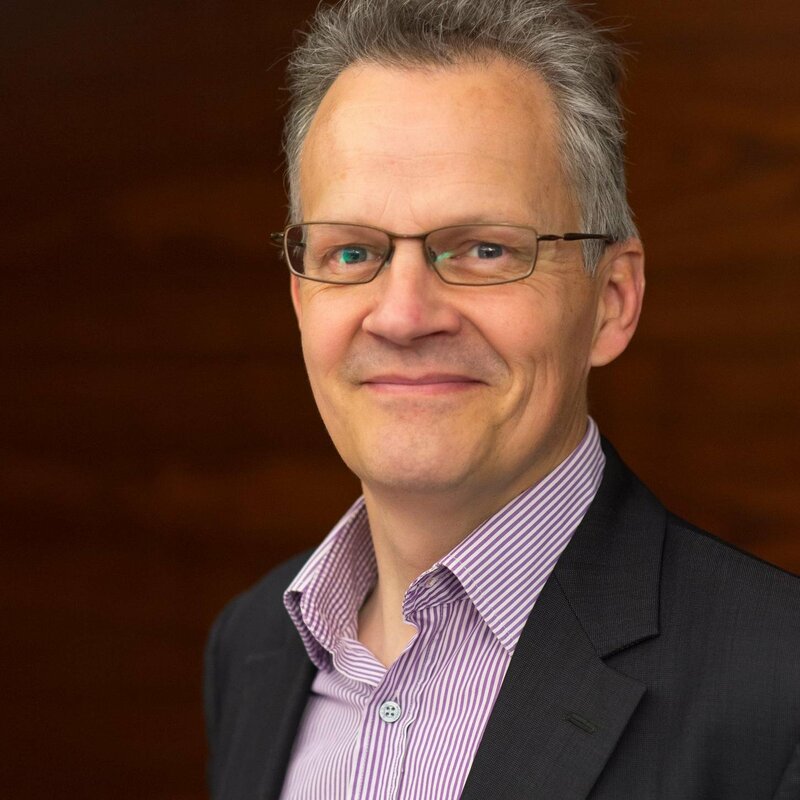 He has combined this dedication with crisis coordination and implementation of resilience and business continuity models for critical process in industrial environments. 1. Is it typical the outsourcing of services in your organization? 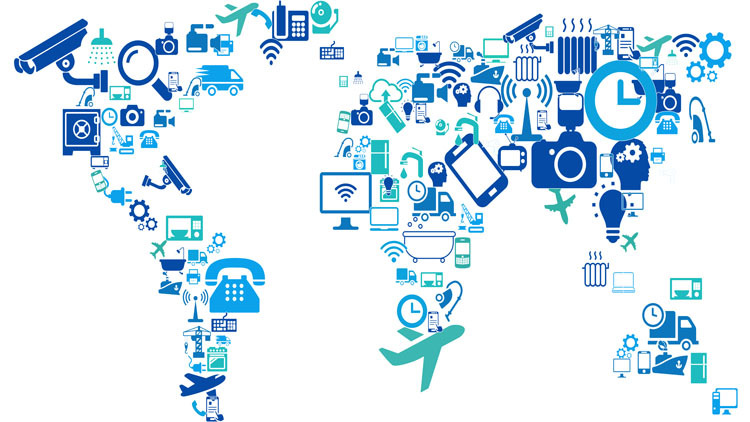 What is the cyber security level of my value chain? As explained in the first post of this series dedicated to the C4V model, the cyber security level of outsourced services is key to assess the cyber security capabilities of any organisation: It is no use increasing the cyber security levels of an organisation if their suppliers’ levels are not as high, because -it goes without saying that- "security is as strong as its weakest link". In this sense, the C4V model is based on the same idea as the other ENSI elements: providing CERTSI users with tools to improve the protection level of critical infrastructures. The outsourcing of processes is not something we can consider new. In fact, the contrary is true. And in particular, in terms of how it applies to ICT (Information and Communication Technology), it is common for at least part of our systems to be accessed by third parties or managed directly by third parties. The range of options is broad, encompassing maintenance of equipment, remote operation-administration, on-site and remote support, maintenance of applications and all of this without taking into account other types of third parties (whom we could refer to as unrelated) who, without access to our information systems, do store and/or process information on their own systems (consultants, auditors, general consultants etc., etc.). Recently, ENISA has published version 1.0 of a document that seems highly interesting, title "Indispensable baseline security requirements for the procurement of secure ICT products and services" (link). It is a document elaborated by a group of experts named by different Member States (in particualr, by Austria, France, Germany, Czech Republic, Spain, The Netherlands and Finalnd) that is applicalbe to service providers. We completely agree that some minimum security requirements should exist for every kind of component or device, to assure that there is no weakest link. 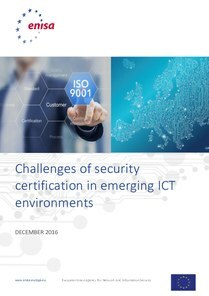 ENISA has poblished in December 2016 the report "Challenges of Security Certification in emerging ICT environmets" [PDF] in which they analyze certification scenario in five sectors: energy, water transport and rail transport, ICT and health care. "...without an EU approved standrd, harmonised testing and corresponding certification..."
It is clear that the possibility of a certification issued in one Member State can be used in another one should exist. Nevertheless, the approach that we should use is not that all Europeans speak esperanto, but considering that many languages are going to coexist in Europe, we are able to translate French into English, this into Spanish and, then into Italian. In the past number 4 of ISACA Journal, the article "Managing Cloud Risk. Top Considerations for Business Leaders" written by Phil Zongo was published. Among other references, the article echoes of a document from Australian Prudential and Regulatory Authority (APRA) that raises a concern about the reporting to Board of Directors of cloud risks in regulated entities because it focuses on benefits forgetting about associated risks. For APRA, it is fundammental that BoD analyzes if the risk is alligned with business strategy and risk appetite in the Organization. 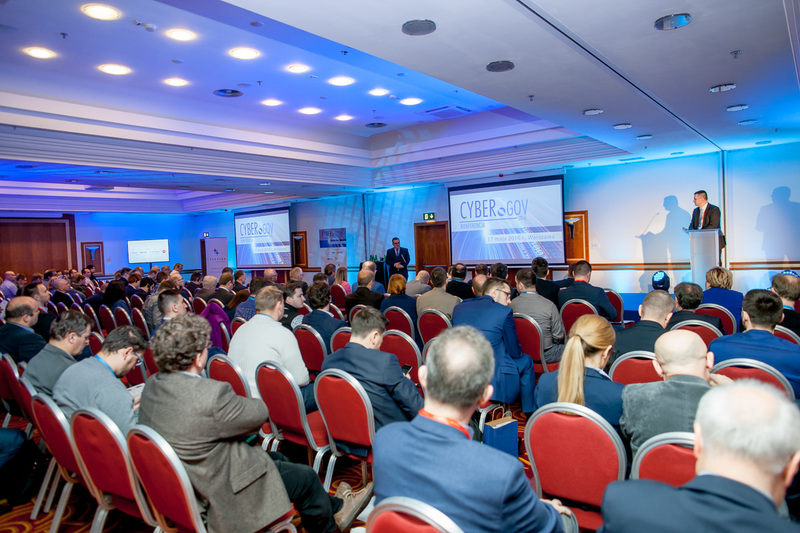 Last 17th of May, we have the opportunity to participate in the cybersecurity event of reference for the governmental administration of Poland, CyberGOV2016. This event brought together almost 340 participants and the keynote speaker was Vladimir Nowak, Plenipotentiary Minister of Ministry of Digitalization that advanced the creation of a national CERT to coordinate the incident response at national level and to coordinate with the rest of Europe (in relation to the NIS Directive). Related with this Directive, also Jakub Boratynski from European Commission also took part in the event (remotely from Brussels) making a summary of the Directive text and its main implications for Member States. Yesterday, April 3rd 2016, a TV station and a digital newspaper brought breaking news with the initial details of what will be a much wider reporting: after almost a year of "investigation" by ICIJ (international Consortium of investigative journalists), brought to light the "Panama Papers", to show the secrets about the creation of companies in tax havens. We write investigation in quotes, not as a question to all the journalistic work, on the contrary, is is really impressive to read that nearly 400 journalists from a hundred different media have been working together and well synchronized to obtain and publish all the information that they are anticipating now. Those of you that have analyzed ISO/IEC 27017 (or even if you are certified on it) have seen that it is a standard that, based on controls repository on ISO/IEC 27002, adds additional controls specific for cloud computing. Besides, it has the peculiarity that controls added have into consideration customer and provider roles, in order to provide guidance to one or both of them in how to implement all its controls. On the one hand, customer should specify security requirements, and, later, analyze and assess if her requirements are correctly implemented in the service. 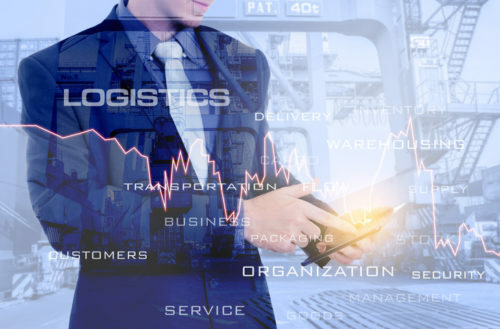 Will NIS Directive forget about cybersecurity of supply chain? That NIS Directive will mean a significative advance in cybersecurity in Member States as it gets past is doubtless. An intengral approach all over EU, the need to report to national authorities (that should be name) the security incidents or the setting-up of a network of Computer Security Incident Response Teams (CSIRT) are its main elements. But, by contrast, it will only require measures for improving resilience against attacks to organizations providing essential services (essential services operators) -which includes digital services like search engines, online shops or cloud services- and, besides, exclude SMEs, according to definition included in European Commission Recomendation 2003/361/EC, it means, those entities invoicing less than 10 millions euros and up to 50 employees. Planning certifications take into account availability, reliability, capacity and performance requirements, together with growth horizon, analyzing business drives and, also, location selection, architecture, mechanic and support infrastructures. A few days ago, our founding partner, Antonio Ramos, visited IDGtv, being interviewed by Marlon Molina, Director of Computerworld University. This time we will not say anything, but invite you to spare a few minutes to watch the video with quick and easy explanation of LEET Security, and what we bring to market, closer understanding of cybersecurity and facilitating the procurement of services, both for customers and suppliers of the same. Here is link to the video in IDGtv. We invite you to view and share. Thanks to Marlon and IDG for this opportunity to talk about our security rating. ISACA Madrid Chapter hosts next October, 28th its 38th Technical Event (Hotel EXE Puerta de Castilla from 17:30 to 19:30) about How Minimize Risks in Client/Provider Relationships that will be sponsored by LEET Security and AUDISEC - GlobalSuite. 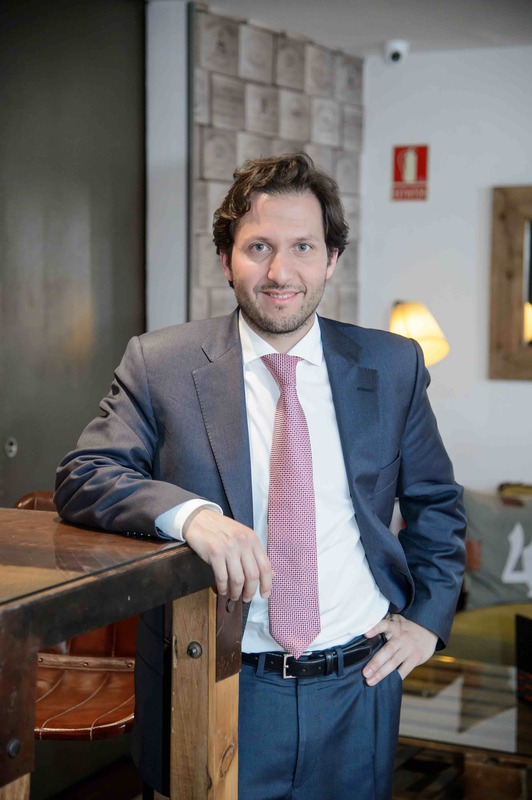 Antonio Ramos (@antonio_ramosga), founder partner of LEET Security,will open the event introducing attendes the concept of ICT services security rating. Next, José A. Lorenzo, General Manager of IDC España, will explain the market vision of Cyber Analitycs with a specialized talk. Next, as central part of the event, there will be a Expert Panel about risk reduction between clients and service providers. A real good opportunity to know in first hand the opinion and knowledge from BBVA, Aiuken, BT Global Services, Rural Servicios Informáticos (RSI) and Virtual Care. Security rating as a key tool to drive companies to "digital transformation"
Duncan Brown (@duncanwbrown), Director of Cybersecurity Analysis for Europe at IDC, has published a report on how security rating of services builds trust and confidence in the digital transformation era that we are experiencing. The report has a clear meaning and a message: the information security is an increasingly worrying aspect of our economy, and companies are being forced to undertake a series of processes and activities, which were previously in second plane (if not ignored), in order to control the inherent risks when hiring services with external suppliers. IDC analysts have repeatedly stressed that uncertainty about aspects of security is the main factor of concern when adopting cloud computing services (although these growth is 27% in 2014 -2018). IDC and IDG bring the new 2015 edition of the CIO Directions event. It will take place next 29th september, under the tittle: “The new role of the CIO and the IT Organisation”. According to IDC, this new role comes from the increasing direct responsibility of the business lines in the technological decisions of the company. According to a recent analysis carried out by IDC, 43% of the business managers being interviewed declared that they feel comfortable with IT projects within technological environments. Thus, Business lines are financing 61% of these projects (in the scope of the survey) – with or without the participation of IT. Today we start a new blog section called #ratingenthusiasts for showing the opinion that very important people have aobut #securityrating. The right to complaint is, at the end, what we have after a successful cyberattack (of course, I mean success from the point of view of the hacker that carry out it). And this what executives of Ashley Madison are doing with their press release published on 18th August, explaining that the data breach they have suffered is not a case of "hacktivism", but a criminal attack. In fact, nobody can doubt that it looks a criminal act, but the result is, spite of them, 10 GB with information of the last 8 years including clients data like telephones, adresses, transactions... including from written off clients (without considering aftermaths, true or not, that multiply this quantity). Financial sector is one the main investors in cybersecurity without doubt. And this is because, financial sector is one of the main affected by cybercrime. 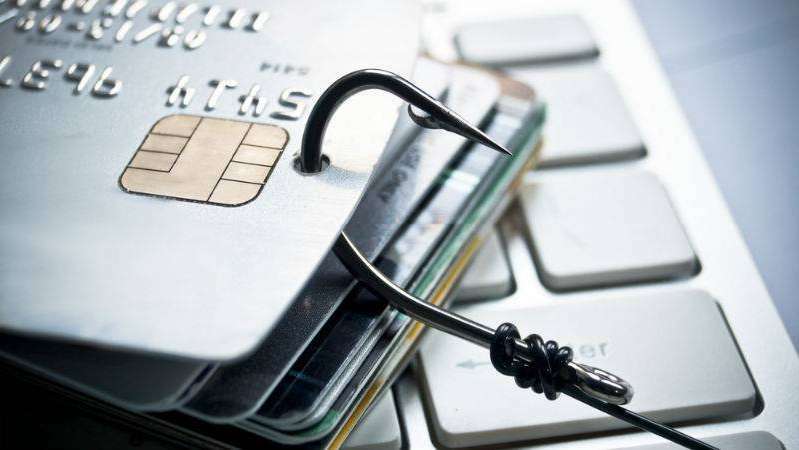 This situation leads to European Central Bank, leaded by Mario Draghi, to be specially worried about the cybersecurity capabilities of european financial entities to fight against cyberthreats. As stated in the note published by Adif, yesterday at 06:00 there were detected “intermitten failures in traffic management operating processes" that led "delays rail traffic [...] of Barcelona and Girona provinces and part of Tarragona and Lleida. The incidence has affected both main system and two redundants ones that are activated in case of incidents in the main system. This has led to momentary traffic stops, selective suppresion of trains and delays in the service". This incidence has made Adif to open an expedient to company that provides the technology for the Barcelona Centralized Traffic Control, Schneider-Telvent. Some days ago, a column titled 'Trust in Cloud' was published at Cinco Días [Spanish]. In this column, it is highlighted something we completely agree on: "Cloud service and provider selection is an strategic option that impacts on companies' business". 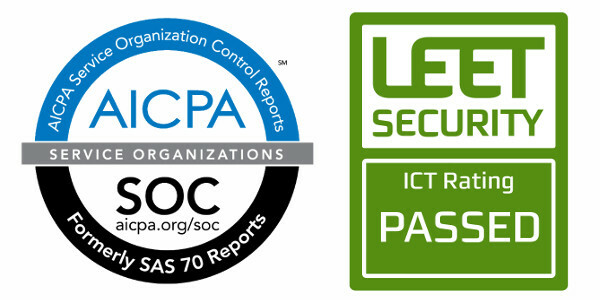 Between all of them, a half (availability, security, financial estability and compliance) are elements included in leet security rating and the rest, except physical location, are operational aspects (connectivity, performance and service maturity) that, obviously, have to be considered by the potential cloud customer. Rating the Security of ICT Services. A Chimera? Imagine that you have decided to buy a car. And, of course, safety is really important to you so you will take into account safety characteristics in your buying decision. The most direct way of knowing the safety characteristics of every model is asking how many NCAP stars each holds. The Global New Car Assessment Programme (Global NCAP) conducts independent research and testing programs that assess the safety and environmental characteristics of motor vehicles and their comparative performance and disseminates the results to the public. Those models with better crash protection and avoidance systems get more stars—5 stars being the best. Deception. That could be the word that summarize our feelings after having contributed to the Cloud Standards Coordination (CSC) Working Group of ETSI (European Telecommunications Standards Institute) that was launched in December, 2012 in a meeting in Cannes with the objective to help the European Comission to "cut through the jungle of standards" and "to identify a detailed map of the necessary standards". Firstly, because despite of having the instruction of developing a picture of actual situation, the report that will be published in some days will only include documents issued by Standards Developing Organizations (SDOs), leaving apart organizations like us only because being private organizations. Despite other considerations, private companies have shown being able to develop standards or, haven't you heard about PDF? ETSI Cloud Standards Coordination, that is working in helping the EU in identify future normalization issues and it is ending its report at this time. SC38 Study Group on Future Work, that has been created inside ISO SubComittee 38 to work on the same idea (identify future works for this SC). ISACA. In particular, in a work related con controls definitions and assurance in cloud that will be published in the following weeks. Following our tradition of analyze security documents that could apply to cloud computing, in this post it is the turn of Jericho Forum(R) "Self-Assessment Scheme" (PDF). We find this scheme interesting because it applies a rating system, in this case, with two levels. This scheme is applicable for evaluating how a system meet Jericho Forum eleven commandments throuhg a self-assessment carried on by the own system provider, without validation for any third party (unlike leet security methodology that implies a validation from the rating agency). 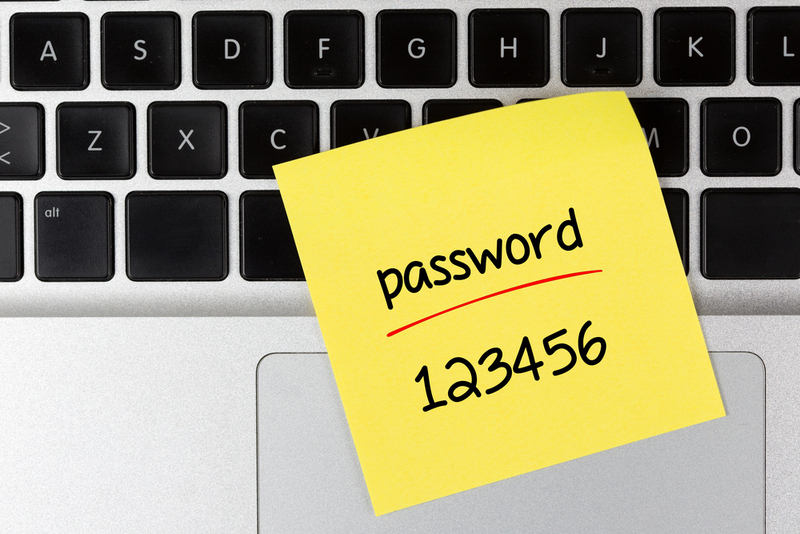 Providers could use it for answering RPFs and shows the security level they implement. Customers coudl evaluate the needs for every product, depending on the requirements. Following our post about "EU Cyber Security Strategy", we have analyzed the proposed European Directive on Networks and Information Security that was published simultaneously. Our general conclusion is that, if approved as it is, we will be in front of a qualitative step ahead in the way we understand information security in the EU that will pose us as a reference in this field. Nevertheless, in our opinion, there is some room for improvement that we would like to highlight in this post. Sometimes we are asked about the failures of rating agencies and if a rating system could be a good approach for security evaluations. We have posted about it some time ago, but we think it is interesting to comment about the article titled "How Certification Systems Fail: Lessons from the Ware Report" (pdf), where Steven H. Murdoch, Mike Bond, and Ross Anderson give us a fantastic view of the reasons that make certification systems fail. This article based on the report, "Security Controls for Computer Systems" (pdf) (commonly known as the Ware Report, after the chair of the task force - Willis H. Ware), summarizes the facts identified in that report from 1970 (!!!!) that explains the failures in certification systems. In addition to technical mechanisms that contribute to reduce lock-in and to improve interoperability, cloud services need a efficient way to negotiate security conditions of services between users and providers. Traditional ways of audit and certification have shown to be necessary but not sufficient to build trusted relationships (they are expensive, complicated and not compatible between users). The objective of this post is to think over how the Guideline published byPCI Security Standards Council to clarify the compliance with PCI-DSS when using cloud computing services (" title="pdf del guideline" href="https://www.pcisecuritystandards.org/pdfs/PCI_DSS_v2_Cloud_Guidelines.pdf" target="_blank">pdf) affect the ICT services security rating. First, we would like to remember that actual security rating methodology includes special levels in confidentiality dimension to show compliance with PCI DSS. Those levels can be distinguished by the an asterisk (*), it means, services with a rating C*-- or higher are suitable to store, process or transmit cardholder data according to PCI DSS. Recently, the European Commission has just published the Cybersecurity Strategy of the European Union (pdf) in which, Catherine Ashton, High Representative of Foreign Affairs and Security Policy recognizes how important is this issue. We bring this document into our blog because it includes a concept that we consider of high importance to the security model we push from leet security as rating agency. We are talking about service labelling. In some occasions, specially when the issue we want to analyze or study is complex or very new, it could be useful to use analogies. We say that because, to explain the use of the security rating model we propose, we like to draw upon a very daily analogy: We compare cloud services with an hotel room. This analysis is based on the "User Guide" (only for ISACA members) published by ISACA and AICPA for this type of reports. SOC 1 -Report on Controls at a Service Organization Relevant to User Entities' Internal Control over Financial Reporting. SOC 2 y SOC 3 - Report on Controls at a Service Organization Relevant to Security, Availability, Processing Integrity, Confidentiality or Privacy in accordance with AICPA Trust Services Principles Criteria. As part of ISACA Series about cloud computing, we find the document "Security Considerations for Cloud Computing" (link) with the objective of provide a practice guide and facilitate the decision process for IT and business professionals when taking the decision of moving to the cloud. Study results about cloud computing market maturity have been just released thanks to the collaboration between CSA and ISACA (pdf), and it highlights the 10 issues eroding cloud confidence. The study collects opinions from 252 organizations of all types (users, service providers, integrators, and consultants) in 48 countries (mainly in North America and Europe), and concludes that, in one side, IaaS and PaaS are in their infancy and that they will need three years to be in the growth stage, while SaaS are almost in growth, where they will arrive in two years. Following our tradition of commenting schemes similar to security rating for helping to understand it, we are going to analyze the aforementioned certification scheme developed by EuroCloud Germany (EuroCloud Deutschland_eco e.V.). We must say in first place that we have carried out this analysis based on documents published in its web, in particular, "General product information and pricing" (pdf) and "Quick Reference" (pdf) because auditing guides are not public, existing a confidentiality agreement with clients covering audit guide and scope [what surprised us a little] and that is commented through workshops organized by EuroCloud with a price of 600€ (which is deducted from the audit price, if ordered in the following 6 months). We have published today a post at INTECO blog (in Spanish) about the certification proposed by Cloud Security Alliance (CSA) together with British Standard Institution (BSI) for cloud services security based on CSA's Open Certification Program. The goal of this post is analyze this certification from our perspective as security rating agency. We are glad to see that the use of levels as mechanism to provide information is becoming common in the information security field. In this case, the CSA - BSI certification proposal also uses three levels (auto-assessment, third party audit and continuous audit), although levels depend on the evaluation rigor more not on the security controls as we do in security rating. FFIEC considers cloud computing as a type of outsourcing. The use of third's parties "does not diminish the responsibility of the board of directors and management to ensure that the third-party activity is conducted in a safe and sound manner and in compliance with applicable laws and regulations". "It is important to look beyond potential benefits and perform a thorough due diligence and risk assessment of elements specific to that service" (see previous post about Cloud ROI). Some of you have asked us about similarities between the rating scheme and Consensus Assessments Initiative (CAI) launched by Cloud Security Alliance, so we have decided to write down this post to explain similarities and differences between them. First of all, the Initiative is part of what is called GRC stack that includes other "pieces" like the very famous Cloud Control Matrix (CCM) or the Cloud Audit Project. Secondly, we must say that the Initiative has involved the development of a questionnaire (used as base of STAR - Security, Trust and Assurance Register) that we will explain in further posts. This is the title of the new ISACA document in relation with cloud computing that has been published last July. It addresses ROI calculating issue in order to evaluate in a right way an investment in this kind of service, considering all the costs and gains involved. 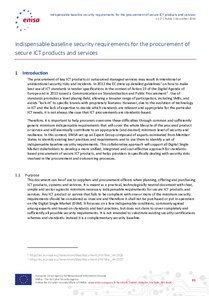 We would like to highlight some aspects of this document from our perspective as security rating agency that helps to simplify ICT services procurement processes, in general, and cloud computing services, specifically. Este es el título de un Documento de Opinión (PDF) recientemente publicado por el Instituto Español de Estudios Estratégicos (ieee) realizado por Gregorio Pablo Álvarez Rubial. Se trata de un documento que recoge de manera bastante sucinta la historia y las particularidades de las agencias de calificación (prefiero esta denominación a la de rating para evitar términos ingleses siempre que sea posible) o ECAI (por su denominación técnica en inglés, External Credit Assessment Institutions). Thanks to INTECO-CERT, we have analyzed the document published by Fraunhofer Institute for Secure Information Technology regarding security in cloud storage services (link). Basically, the document is a basic analysis of security characteristics of a sample of this kind of services (specifically, CloudMe, CrashPlan, Dropbox, Mozy, TeamDrive, Ubuntu One y Wuala). We consider it a basic analysis because it only analyze aspects related with the registration process, information transport and encryption, sharing mechanisms, deduplication, legal considerations, and only from the client perspective (without analyzing server security). Client encryption mechanisms improve, significantly, confidentiality levels. It is worth to consider using more than one service to reduce downtimes. To reduce vendor dependency, users could have a vendor change plan. La pasada semana tuvimos la oportunidad de participar en el II Encuentro del CSA-ES, en concreto, en la mesa redonda que cerraba el encuentro. Resaltar que el tema de conversación durante todo el encuentro fue la necesaria generación de confianza y el papel que la transparencia tiene en ese proceso. Preocupa el hecho de que las PYMEs no tengan los conocimientos y el asesoramiento necesario para hacer un traspaso al cloud computing adecuado (tanto en relación a los procesos que más le convengan, como en la forma más adecuada) como ya han comentado algunos. La pasada semana se publicó el informe "Cloud Computing. Retos y oportunidades" (enlace) realizado por el Observatorio Nacional de las Telecomunicaciones y de la Sociedad de la Información - ontsi. Es un estudio tremendamente interesante que analiza, por primera vez en España, el impacto de la informática en la nube en las PYMEs. El objetivo de esta entrada es analizar dicho estudio desde la perspectiva de una agencia de calificación que trabaja en facilitar la contratación de servicios TIC mediante la generación de confianza a través de la transparencia. Ayer publicamos en el blog de INTECO una entrada titulada "Gestión de riesgos en la cadena de suministro TIC". En dicha entrada, comentábamos un informe de auditoría del GAO estadounidense sobre los riesgos existentes en la cadena de suministros TIC (tanto software como hardware, como servicios). ¿Hay que elegir siempre el servicio con la calificación más alta? Elegir el servicio con el nivel de calificación más elevado (AAA) es una tentación, sobre todo para los profesionales de la seguridad, que siempre buscan (instintivamente) asumir el menor riesgo posible. Sin embargo, no es, en absoluto, la decisión óptima. ¿Qué les parece? ¿Lo hemos conseguido? La pasada semana, la Agencia Europea para la Seguridad de la Información y las Redes (ENISA) ha publicado este documento que lleva por subtitulo "Una guía para la monitorización de los niveles de seguridad de servicio para contratos en la nube" [pdf] y que, como su propio nombre indica recoge las pautas para ayudar a los que quieran contratar este tipo de servicios a definir la forma en la que se realizará esta supervisión. Along with exciting new opportunities, cloud computing presents new challenges for both IT professionals and business managers. The former have to change their mindsets from an internally provided service to an outsourced one, and the latter have to consider security issues in their decision about moving to the cloud. But both parties share one request: due diligence in the process of service selection. Due diligence will help organizations considering the cloud to clarify their risk posture, choose the cloud service that best meets their needs and avoid surprises down the road. Hace unos días, en Seguridad y Gestión, el blog de Joseba Enjuto, compartía una entrada titulada "Ceder la seguridad a la nube" que nos ha parecido muy interesante. En dicha entrada, Joseba plantea las dudas que existen habitualmente en cuanto a la contratación de servicios en la nube y lo que va a pasar con la seguridad de esos servicios. Gracias al blog de Infosec Island hemos llegado al "Informe sobre el estado de seguridad en la nube" (pdf) que, recientemente ha publicado Alert Logic y que, según los autores, tendrán un carácter semestral. En dicho informe, se analizan los datos relativos a 2,200 millones de eventos y más de 62.000 incidentes gestionados por Alert Logic en sus clientes para comparar la situación entre los proveedores de servicios y las instalaciones in-house, todo ello con el objetivo de responder a la pregunta típica de, ¿qué es más seguro, llevar la gestión de los sistemas internamente o en la nube? "Cuando el responsable del tratamiento contrate la prestación de un servicio que comporte un tratamiento de datos personales sometido a lo dispuesto en este capítulo deberá velar por que el encargado del tratamiento reúna las garantías para el cumplimiento de lo dispuesto en este Reglamento"
Last week, Amazon announced the Amazon Web Services GovCloud, a new cloud service that steps up "the security and access features of its cloud services in an effort to attract more government agencies as customers". This is a clear example of a tendency that, in our opinion, is going to be the normal evolution of cloud services. At this moment, clients face a very standard set of cloud services and very few options to adapt the service to their needs (image yourself entering into your car dealership and not having the ability to choose different colors, tires, engines...). In particular, this is very important related to security issues, so we think that rating could be a very useful option for providers willing to segment their offer. ISACA acaba de publicar el libro "IT Control Objectives for Cloud Computing: Controls and Assurance in the Cloud" (pdf solo para socios, el resto tendrá que comprarlo) en el que analiza como utilizar los materiales ya publicados previamente (COBIT, RiskIT, ValIT y BMIS) de modo específico a la problemática de la computación en la nube. Nos gustaría resaltar algunos aspectos del documento que tienen relación con nuestra actividad como agencia de calificación de servicios. En estos tiempos que corren y después del protagonismo que han tenido las agencias de calificación de riesgo de crédito en la situación financiera actual, muchos se preguntan si la calificación continúa siendo un método adecuado para introducir transparencia en los mercados. La opinión de leet es que no debemos confundir los errores que se hayan podido producir en la implantación del mecanismo con la validez del propio mecanismo. Digamos que sería como decir que los bancos ya no son una forma adecuada de canalizar las inversiones en el sistema financiero, más bien, habría que decir que hay que cambiar los mecanismos de incentivos y las reglas de los mercados.